Adam’s Restaurant. Bennett’s Hill, Birmingham. Chef Adam Stokes and his wife Natasha will relocate their city-centre two-year-old, which “set a new standard for fine dining in Birmingham”, to a £1.5 million venue next year. For the last two and a half years Adam’s has been run as a (sort of) pop-up in Bennett’s Hill, but will reopen as a permanent restaurant in Waterloo Street on 26 January. The last service at the old site will be held on 23 December, ahead of the big relaunch in 2016. 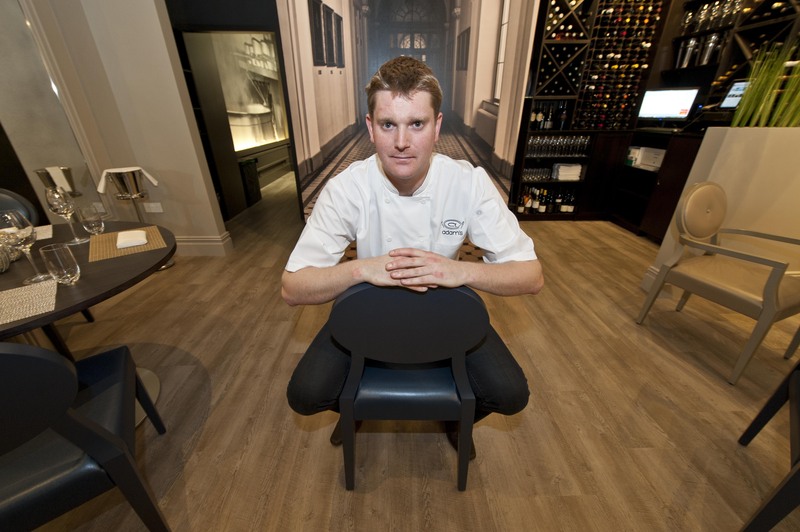 The new 36-cover venue, housed within the former offices of a bank, will have a 12-seater chef’s table, private dining room for up to 16 guests, wine cellar and development kitchen. The current restaurant – hailed by our reporters as “Brum’s best” where the nine course tasting menu “extravaganza” is “genuinely seasonal, fresh and inspired” – seats just 24 people. As well as the tasting menu, the new Adam’s will serve an Ã la carte menu. News Adam Stokes, Adam's, Birmingham, Birmingham restaurants. permalink.